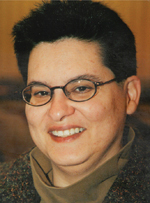 Faith Rogow was the founding president of the National Association for Media Literacy Education (NAMLE), a founding advisor of Project Look Sharp, and a founding editorial board member of the Journal for Media Literacy Education. She has been a leading media literacy educator, theorist, and strategist for more than two decades, with special interest in early childhood, pedagogy, and diversity issues. Her work is notable for merging academic expertise with grassroots sensibilities. In 1996 she created Insighters Educational Consulting to “help people learn from media and one another.” An award-winning speaker, master trainer, and training designer, she has taught thousands of educators, child care professionals, media professionals, and parents to understand and harness the power of media. She has created educational outreach materials for projects ranging from Sesame Street and Sid the Science Kid to hundreds of independent films, including those featured on PBS’ P.O.V. She is the author of many articles about media literacy, as well as Gone to Another Meeting: A History of the National Council of Jewish Women (University of Alabama Press, 1993). She received her Ph.D. in History (1987) from Binghamton University.